And another relationship severed. At this rate, Krystin won’t have any friends left. 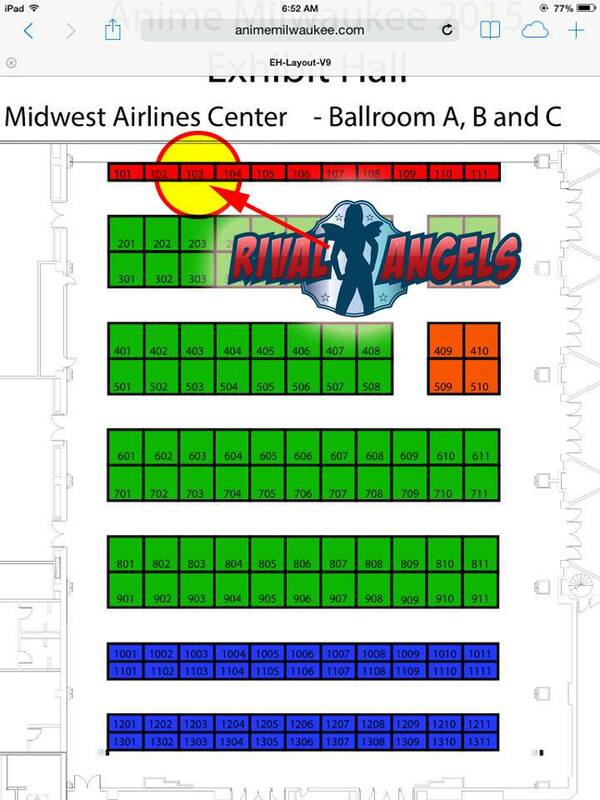 Come hang out at ANIME MILWAUKEE this weekend, Friday, Feb. 13th-15th at the Midwest Airlines Center. You can find me at table 103! In addition to the comics, graphic novels, prints and posters, I’ll be doing some panels that will be informative, interesting and fun. Things are getting out of hand. Vote to see what’s up next! Tis sad when someone self destructs. Well if she is out of the picture they will need a new Rival to make it 4 again. I volunteer. Wouch! A gold digger at heart. But that’s aiming pretty low. We have a natural heel here. Pfft. Not unlike when you’re in a wrestling match with me, you’re out of your depth when it comes to gauging heels. This is a defence mechanism to try to hide her pain at being rejected. It occurs to me that the difference between someone who responds to rejection and pain and regret by spreading the hurt around and claiming that this was the way it was intended all along, and a natural heel? Likely narrow enough to shave with. Come on, now. There’s more than one valid heel character type. Spread misery because you genuinely don’t care, or spread misery because you’re insecure, you’re still a horrible person. The latter type may be more dangerous, even – it’s hard to go to the same lengths for apathy that you do for shame and pain. Too, too funny. I read you like a book. A big format book, more pictures than words, and simple. She’s at least got pop ups. Hey boss, there’s a thought for your next merchandise line! When you crash and burn do it right. Some people hit rock bottom. Others choose to swan-dive their way down. I think this is a cannon ball. And then there’s the people who hit rock bottom and start digging. As a soap opera, this one’s pretty good. There we go, someone gets why I had to spill the beans. Alrighty, first of all, a need for a Foot To Face!! is rising. Second of all, when you just cost someone their best friends job, you don’t want to be giving them any further incentive to do the same to you. My opinion of Krystin is plummeting by the second. I was very ill with a tummy bug yesterday, bringing up everything and anything I tried to put down. Sabrina-Ripley hasn’t seen me this ill before, and she was most distraught about the whole thing. Fortunately Mama Bear was on hand for comforting. I is feeling much better today, and Baby Bear is clinging to me like their is no tomorrow. I get the feeling I will be getting a lot of hugging. Awww, Baby Bear doesn’t like it when the momma’s feeling lousy. So she’s gonna make you feel better the best way she knows how… lots of cuddles. … so isn’t it a good idea to keep being nice to the guy who provided the magic hand-healing stuff? Because it’d be bad form if he happened to mention magic to someone with a magic-testing kit. Anyway, there’s a new person at the top of my “I want to dropkick these people” list. Anyone want to guess who? Let me see that list! Ego has a very, very long duration. Krystin… it’s one thing to hit the self-destruct button. It’s another thing entirely to start speeding up the countdown. I guess some people just don’t know when they’ve hit rock bottom, so they take out the pickaxe and start digging. my opinion of Krystin has been going down since she started using steroids to make her hand better this is hitting a new low though, I mean even Brooke thought this was too much of a low..
Krystin just keeps digging herself a deeper and deeper hole. When it’s finally time for her to sleep in the bed she made she’ll be way more than six feet under. I’m sure her actions will backfire enormously 🙁 . I can’t wait until somebody drops an house on her. Krystin’s motto seems to be ‘never let them know they’ve gotten under your skin’. This is just like the locker room… she’s exiled, and promptly talks trash with the whole ‘I don’t NEED you!’ Basically in an effort to not look weak, she’s alienating whatever support base she might have left. I have a feeling that her family will be next, and the thing that might actually break through her wall of “I’m too awesome to need people”. It’s one thing when it’s your room-mates, your colleagues, even your boyfriend. But when it’s mom and dad? Everyone has their limit. It’s probably a zen koan or something found in a fortune cookie, but — It is not weakness to admit you are weak, for it is others who can make you strong. One who claims strength and casts aside all aid will find themselves facing something they cannot overcome alone, and with no-one to help, they shall fail.